A field day on "IPM in Brinjal with particular reference to shoot and fruit borer” was organized at Doddapalyavillage, Srirengapatna Taluk, Madhya District on 19.03.2019 by ICAR-IIHR, Bengaluru in collaboration with ICAR-National Research Centre for Integrated Pest Management (NCIPM), New Delhi. 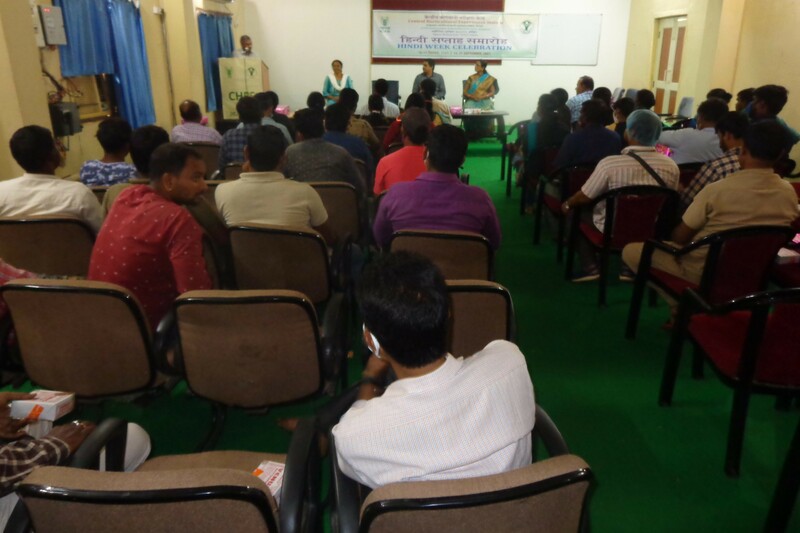 The main objective of this programme was to sensitise the brinjal growing farmers on need for the reduction in usage of pesticides for the management of shoot and fruit borer and to produce safe, good quality brinjal by using eco-friendly IPM tools like biocontrol method. The programme was inaugurated by Dr.H.R.Sardana, Director, ICAR-NCIPM, New Delhi. He highlighted the importance of IPM in the management of shoot and fruit borer in Brinjal and safer pesticide residue free vegetable production. Dr M. N. Bhat, Principal Scientist (Plant Pathology), NCIPM, New Delhi emphasised the need for use of various biological control measures and bio pesticides in the management of various insect, mite pests and other diseases in brinjal. Dr V.Sridhar, Principal Scientist (Entomology) explained the activities of the Brinjal IPM project and various components of IPM in brinjal. Dr.V.Sankar, Principal Scientist (Horticulture) narrated the improved package of practices for brinjal production. Dr G.M.Sandeep Kumar, Scientist (Pl.Pathology) explained about integrated disease management in Brinjal. Earlier, Mr Onkara Nayak, Technical Assistant extended a warm welcome to guests and briefed about management of important pests in brinjal. Later in the programme, IPM inputs like neem oil soap, pungamia soap, solar light traps, vegetable special and Tricho cards were distributed to selected brinjal growing farmers. 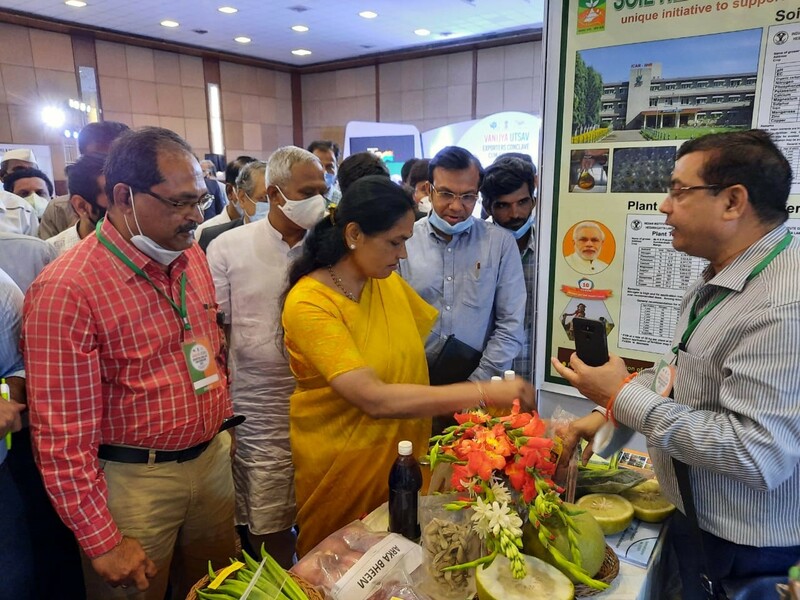 There was active interaction between farmers and scientists on various topics related to cultivation and plant protection aspects on various crops with particular reference to technologies of ICAR-IIHR. 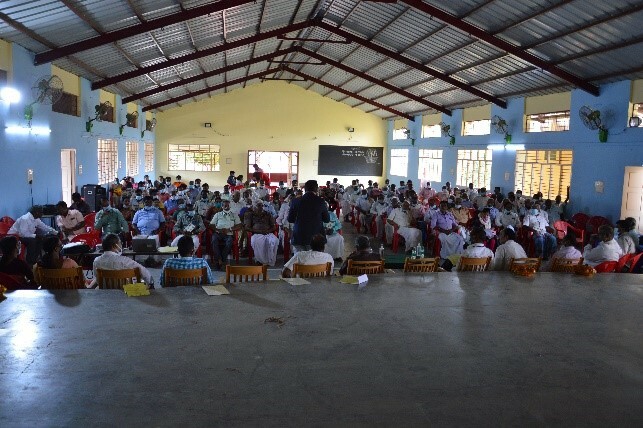 Around 60 brinjal growing farmers of Srirengapatna Taluk attended the programme. 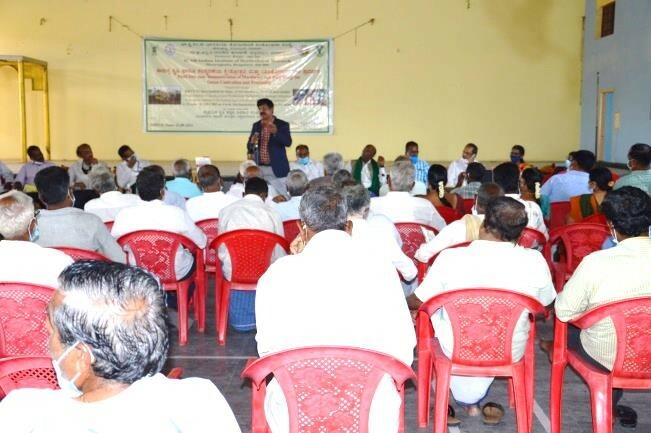 The programme ended with field visit followed by vote of thanks proposed by Mr Jayram Gowda, Progressive brinjal grower.The whole event was coordinated by Dr.V.Sridhar, Dr.V.Sankar. Mr.G.M.Sandeep and Mr.S.Onkara Nayak of ICAR-IIHR, Bengaluru.